Press Release | RoSPA Awards Shortlisted for Awards of its Own! RoSPA Awards Shortlisted for Awards of its Own! The world-renowned RoSPA Health and Safety Awards scheme – the most coveted prize in occupational health and safety calendar – has itself been nominated for two honours in the Awards Awards 2018. 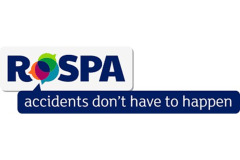 The RoSPA Awards attracts nearly 2,000 entries every year from organisations around the world and across a range of industries, all of which are proud of and want to display their efforts and achievements in keeping their employees, contractors, clients, customers and members of the public safe from injury and ill health. It is the world’s longest-running health and safety awards initiative, having launched in 1956. And now it has been named as a finalist in two categories at this year’s Awards Awards – Best Longstanding Awards Event Over 25-Years-Old, and Best Awards Event by an Association. Julia Small, head of awards and events at RoSPA, said: “We’re delighted to be finalists in two categories at the Awards Awards. We know how highly a RoSPA Award is valued by members of the occupational health and safety community, and we’re pleased that’s now being recognised by those outside of the field. Split across four dates and three cities, the RoSPA Awards offers non-competitive Achievement Awards, which are attained at Bronze, Silver or Gold level depending on the quality of the entry, while organisations can also enter industry and sector-specific competitive awards. The best entry each year achieves the Sir George Earle Trophy – RoSPA’s top award and the pinnacle for any occupational health and safety team.